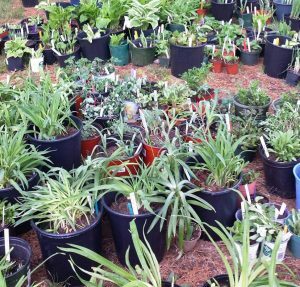 With the Power of Flowers Project’s 4th Annual Plant Sale just a few short weeks away, preparations for the event are starting to pick up steam. Items for both the Whimsey Table and the Raffles are starting to pour in. We’re offering home and garden-themed raffle items, such as a beautiful succulent planter, Lovely quilted hand-crafted tote bags with goodies in each, a swan planter with Boston Swan Boat Tickets, Green patina butterfly mobile, and a beautiful outdoor plant container filled by our own Joyce B. 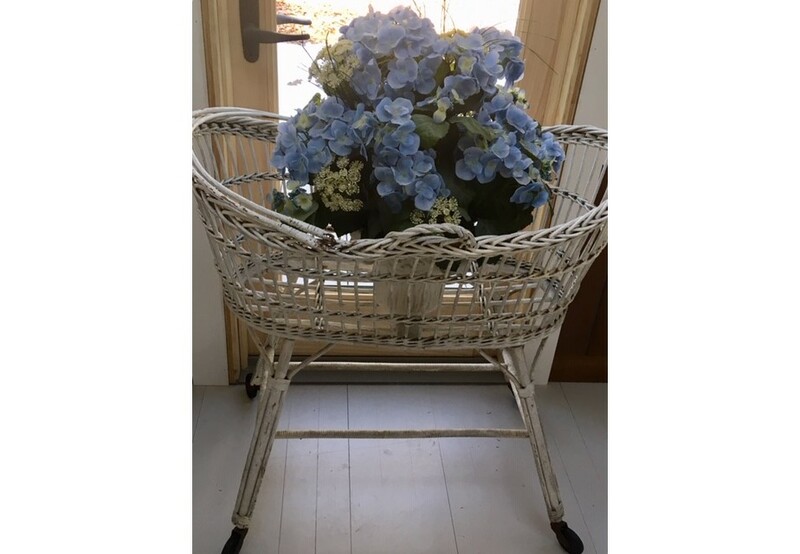 Here is an interesting piece that will be part of the Raffle: a beautiful vintage wicker bassinette that we think would make a great plant stand. In fact, the item will contain 3 gorgeous hydrangea plants as part of the winnings. In a pretty off-white, it would be perfect for your shabby chic/cottage décor. 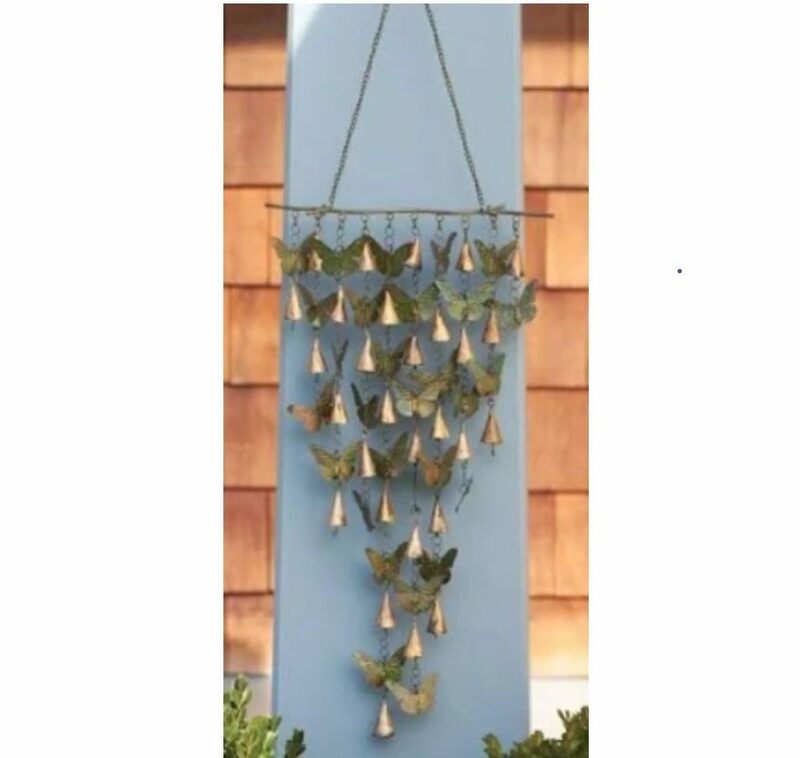 Another item that’s generating a lot of “buzz” is a gorgeous green patina metal butterfly and bell mobile. Hang it outside on your home, from a tree branch, or in the garden. Watch the butterflies gracefully blow in the breeze and hear the delicate, soothing tinkle of the bells. On the Whimsy Table, we’ll have decorative garden items on sale, such as artfully painted chair plant holders, stationary cards, slate garden signs and many other treasures. A big hit last year, the National Sharpening Company of Andover, MA will again be available to sharpen scissors, garden tools, and other tools at a reasonable fee, while you shop! And of course, there are the Plants. There will be a large, colorful variety of proven perennials, annuals, and herbs, all at bargain prices. Many of the perennials were dug from our own volunteer gardens. We also have locally grown annuals and herbs supplied by Dargoonian Farms at 23 Blanchard Street in Andover, MA https://dargoonianfarms.net/. Plenty of hanging planters in an outstanding variety of colors will be available, too. Stay tuned for details in future posts. Hope to see you on Saturday, May 4, at 1 at the Tewksbury Senior Center.